Beijing: China and India should not let disputes hinder the bilateral cooperation, one of the highest-ranking Chinese officials said on Saturday. Fu Ying, spokesperson for China's parliament, also urged India to join Chinese-proposed One Belt One Road project, which New Delhi views with suspicion. The powerful Fu was speaking on the eve of the annual session of National People's Congress, China's ceremonial parliament. "China and India both face different challenges in development. The two countries should understand each other more and not let disputes stand in the way of bilateral cooperation," Fu was quoted as saying by Xinhua news agency. Addressing a crowded press conference, Fu said the world's two largest developing countries should focus on enhancing mutual understanding and boosting cooperation rather than dwelling on disputes. Fu said India stands to benefit from the One Belt One Road project, which aims to link Asia with Europe. "Ultimately, India will also benefit from it. We must bear in mind the bigger picture when looking at issues." Fu said the project is for economic development, but India sees it a Chinese design for geo-strategic purpose. Speaking of the China-India strategic dialogue held in Beijing in February, Fu said the dialogue had been extensive and deep. "I felt it was quite positive," she added. The ties between India and China have taken a hit over a host of issues. 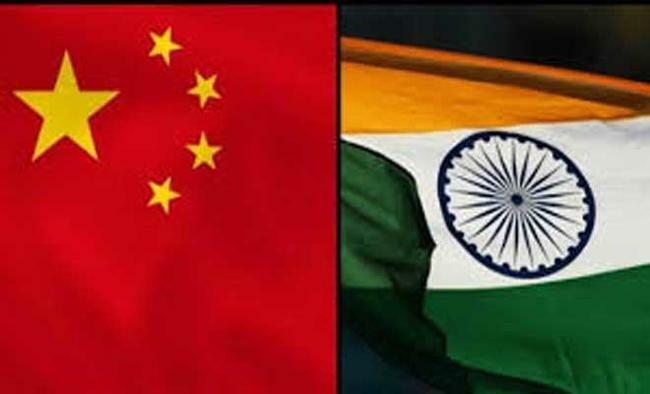 Beijing's opposition to New Delhi's entry into Nuclear Supplier's Group and its proposal to have Pakistani militant Masood Azhar declared as international terrorist are some of the latest irritants. Fu said the two countries have a lot of consensus on regional and international issues. While some disputes remain, the issues have been discussed properly through diplomatic channels. Fu said China and India have over the past decades witnessed rapid development of bilateral trade, which surged from two billion US dollars in the 1990s to last year's more than 70 billion dollars. Air connectivity has improved remarkably, with 40 direct flights between the two countries every week, Fu said. There have also been frequent exchanges of visits by leaders of the two countries, and the two militaries visit each other every year, the spokesperson said, adding China and India have also established a mechanism to jointly combat cross-border crimes and terrorism.